So Master Chief needs got another nerf gun. I went with the same choice as the Sniper which was to take an existing nerf gun and mod it. 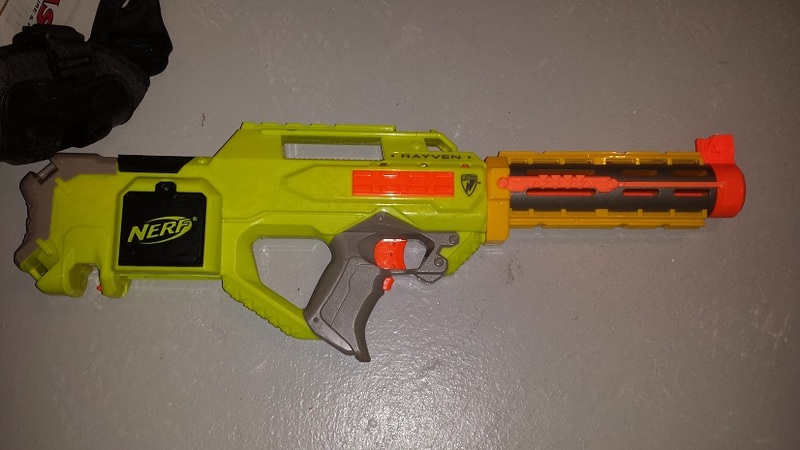 1) Add on Nerf standard barrel extender (ebay again). 2) Use 3/4" copper pipe to extend it further. 6) Combine them back together and we have a nice working nerf halo assault rifle. Optional: added benefit, I picked up some AA sized batterise that output 3.7 volts as opposed to the normal 1.6 volt batteries. The results will increase the RPM on the flywheels inside the gun and the darts will come out much faster. Overall, this was a harder mod to do than the sniper but it still fires darts pretty well. That's all for now.